Champions: Chicago Is the Best Sports City in the U.S. If there’s one thing Chicago knows it’s sports. 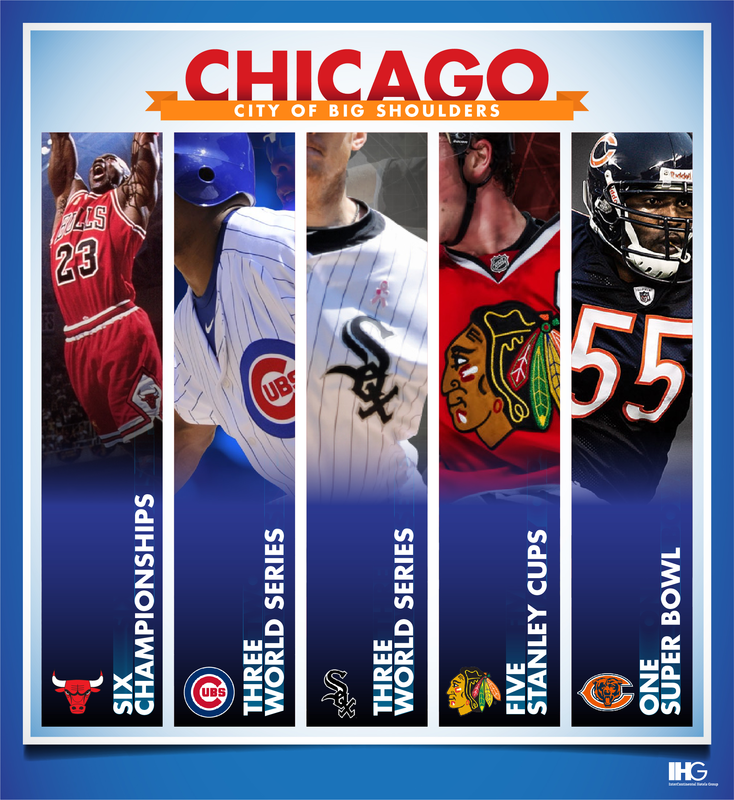 Chicago is home to five major sporting franchises — the Bulls, Cubs, White Sox, Blackhawks and Bears. And each team knows what it’s like to win and bring home the hardware to their city. In the ‘90s the Chicago Bulls were the team to beat, but not too many teams could muster up the plays or luck to overcome their talent — or maybe just the talent of basketball legend Michael Jordan. The Bulls have six NBA Championships, all of which were brought home in the span of eight years, winning three in a row from 1991-1993 and then again from 1996-1998. Jordan was the MVP for each of those championships. The Windy City team bringing in the second-most championships is the Blackhawks. This professional hockey team has five Stanley Cup wins, with the first coming in 1934 and the last in 2013. But the Blackhawks are the favorite to win the 2014 season’s coveted NHL trophy, so if they pull it off two years in a row then they’ll have six Stanley Cup wins to their name. Next are the Major League Baseball teams, and Chicago has two of them. The White Sox and the Cubs have each won three World Series, with the Cubs recently winning in 2016. The win ended a 71-year National League pennant drought and a 108-year World Series championship drought. The last of the Chicago sports teams is “da Bears”. Although the Bears franchise has only won one Super Bowl, the team that brought home that trophy is still talked about and revered today. Many call the 1985 Chicago Bears team the greatest team to have ever played. With Hall of Famer Walter Payton in the backfield, one of the best NFL defenses (or the best to some), a 15-1 regular season record and brutally outscoring most of their opponents, the 1985 Super Bowl Championship Bears team has every right to still be referred to as the greatest NFL team. The people of Chicago have a lot to be proud of when it comes to their sports teams. With five professional sports franchises and a total of 17 championships, there’s no argument in dubbing Chicago a major sports city. Book your tickets to see them in action. If you’re from out of town, find hotels in Chicago near each of these venues.